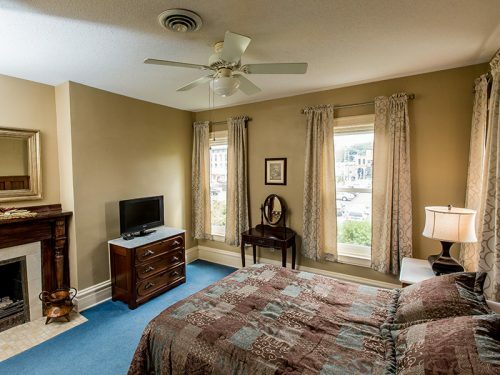 Charming Queen Room, with South and West facing windows which can be opened to fully enjoy fresh lake breezes. Room 1 is the only room that has an original (non-working) fireplace, which adds a romantic ambiance. 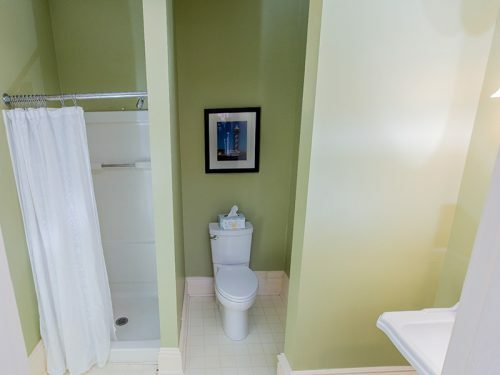 Private bath with walk-in shower. Wi-Fi and TV included.